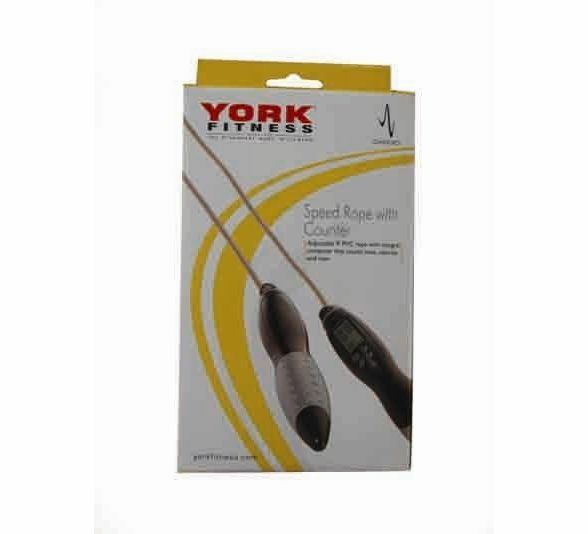 TheSpeed Wire Rope is a lightweight aerobic training rope for theimprovement of your cardiovascular system, designed and manufacturedby the top fitness equipment company, York Fitness. The rope’shandgrips are ergonomically designed and made of PVC for morecomfortable and secure grip. The rope features an integral computer(counter) with time and reps indicators. It also allows you to enteryour weight for customized calorie burning.